Yoga – What are the health benefits? Yoga is perceived quite differently in many people. On one hand many today have started practicing it and love every minute of it, but others have dismissed as spiritual Zen nonsense and as an overall scam. Although there is a self/spiritual aspect to this exercise, Yoga is actually beneficial in many more ways. Some may excuse these benefits as being all in one’s head or that simply “feeling good” isn’t concrete evidence for Yoga being healthy for you. However, what people sometimes don’t know is that Yoga does have strong health benefits that will not only make you “feel good”, but actually increase your life. Let’s look at a few of these. Having trouble sleeping? Insomnia? Incorporating Yoga into your bedtime routine maybe exactly what you need get the much needed shut-eye you deserve. Yoga poses help clear your mind and release tension and stress that might be why you aren’t falling asleep in the first place. Doing these as a routine before bed helps create a signal for your body to start getting ready for sleep. Whether or not you believe it works, many insomniacs introduced to yoga have helped there condition immensely. You’ve probably felt sore after a day of heavy lifting or other strenuous activity. Your muscles hurt and depending on how much you did, you don’t even want to get out of bed. The sensation of feeling sore is caused by the release of hormones in your body that clog up your lymph vessels in your overused muscles. This happens when your muscles are under physical strain, depending on the severity. Relaxation poses and breathing exercises help loosen these muscles and relieve the pain caused by this physical strain. Let’s face it, society has inadvertently adopted a more stressful and sedentary lifestyle. The increasing modernization of technology has brought us many marvels but at the same time has created new ways to stress us out and stop us from moving. This has dramatically increased the influx of heart disease in us. Researchers have learned that incorporating a daily yoga routine in your life leaves you with a greater chance of avoiding cardiovascular problems. Yoga improves the health of the heart by improving blood circulation, removing toxic waste from the body and regulating our body’s hormones to keep us healthy. Whether it’s helping your mind, muscles, or heart, Yoga has proven time and again that its practicality and health benefits are real. 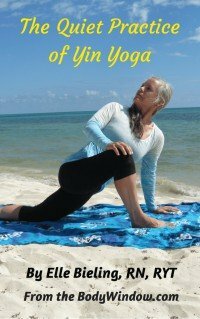 Why not see if Yoga can help with your problems? Return to Benefits of Yoga.